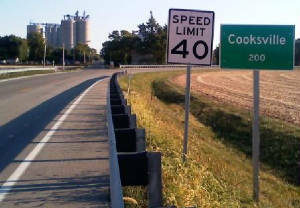 Cooksville (population 213) is located in eastern Illinois in the middle-eastern portion of McLean County. Illinois Route 165 is the main road through town and crosses County Road N2850 East at Cooksville. A branch of the Mackinaw River flows just east of Cooksville and the Illinois Central Gulf Railroad runs through the middle of town. For location sake, Cooksville sits about 10 miles east and a little north of Bloomington. Cooksville was founded in 1882, named for F. W. Koch (pronounced "Cook"), who owned the land that the village was platted upon when the Illinois Central Gulf decided to lay down tracks. Settlers had been coming to this fertile area of farm land east of Bloomington as early as 1854 and started a school two years later. The first high school education that Cooksville offered began in 1897 as a two-year school in the same building that the grade school had been located only four years prior, and which later became a four-year school in 1920. 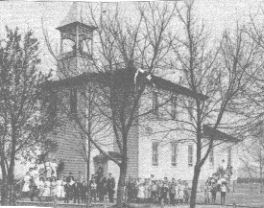 A fire destroyed the building that housed both the grade and high school in March 1923, which resulted in a newer building being erected shortly thereafter, ready for use for the 1923-24 school year. The school served the town proudly for about five decades. It was in the late 1940's that the towns of Cooksville, Colfax, and Anchor began consolidation talks. These talks were finalized with the creation of the Octavia School District in the summer of 1949. The high school was located in Colfax, ending the high school history for Cooksville. 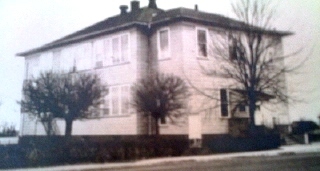 The former Cooksville High School building was used a grade school after the Octavia School District formed, but was replaced by a new grade school building in the early 1960s. The Cooksville High School building was razed in the early1970's. "I was a member of the last graduating class from Cooksville H.S. which was 1949. The first consolidated year of the towns of Cooksville, Anchor, and Colfax was 1950 and was called Octavia. (The district now includes Saybrook and Arrowsmith and is known as Ridgeview). Also, there was a NEW grade school built at Cooksville around 1960--a one story, brick building which started as six grades and later was reduced to four grades. It was still used as a grade school in 1965 as my daughter started there. It is still in existence but long an empty building. It contained a business for a short while but then was deserted. This school had a kitchen and a gymnasium. The gym spoken of for the old high school was a few blocks uptown. Students had to walk uptown to the gym for PE classes. After the consolidation It was first used as a boat and repair shop for several years owned by Charles Manley. I know this because my husband worked there part time repairing boat motors. 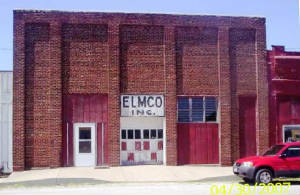 The gym building later became a golf cart manufacturing site." 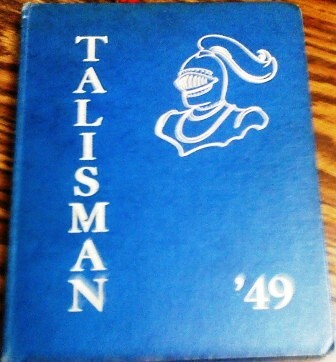 Name of school paper: "The Bumble Bee"
Name of yearbook: "The Talisman"
It is a fact that the Cooksville High School Bluebirds competed in basketball. It is possible that also competed in baseball, track, cross-country, and football. If you have ANY information you can add regarding the athletic endeavors partaken by the Cooksville Bluebirds please write to us. No IHSA hardware was won, but there had to have been some very competitive teams for which we can share information outside of the following. The Cooksville High School "Bluebirds" had some great seasons on the hardwood court. 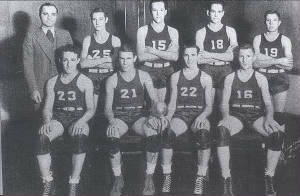 The team of 1928-29 of Coach Chester Albee's went 30-3, but did not get the opportunity to play in the IHSA state basketball tournament due to an epidemic of mumps that affected the school and community from February 20th to March 22nd. Several scores from the IHSA Tourney involving Cooksville HS were located on a website titled "Illinois Postseason Basketball Scores". These scores are reprinted below. El Paso lost in semi-final round. 1938-39 through 1947-48 Postseason scores, records, and coaches' names needed. Arrowsmith lost in semi-final round. 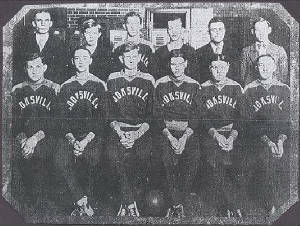 **Final basketball game for Cooksville High School, consolidated with Colfax after the 1948-49 school year. The baseball team was a member of the Tri-Valley Conference during the 1940's and went 4-1 in the fall of 1942. The community reportedly was the site of the field that the Colfax Tigers' six-man football team played their home games before the consolidation mentioned above. The girls had GAA (Girls' Athletic Association) activities, and the school also offered band along with boys' and girls' glee clubs while it was open. Operettas were also perfomed at the school. go to Laurel Quaid, whose 1983 book, "A Little Square Of Prairie" was gleaned to bring you some of the facts on this page. The picture you see at the top of the page was from the book.